Of the 111 drug offenders President Obama recently commuted sentences for; two are from the New Orleans area with one being a notorious ringleader for the city’s cocaine trade. Danielle Bernard Metz, 49-years-old, was sentenced to life in prison more than two decades ago for conspiring to possess and intent to distribute cocaine; helping to lead a criminal enterprise; possession with intent to distribute cocaine hydrochloride; as well as money laundering, according to Nola.com. In 1993 when Metz and her husband, Glenn, were convicted at the same trial along with other members of the “Metz Drug Gang”, the two were dominating the cocaine trade in a number of housing developments across the city. At the time, prosecutors said more than 300 pounds of cocaine were distributed by the group, while Metz herself was only 25-years-old at the peak of her criminal enterprise. She is currently serving a life sentence which will now be cut short thanks to Obama at FCI Dublin in California. 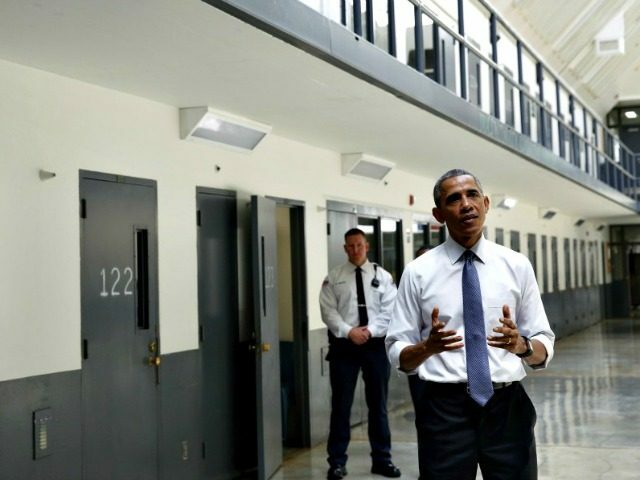 Earlier this month, Obama commuted 214 sentences, making it the single largest number of commutations in a day by any president in history, Breitbart News reported. The total number of drug offenders pardoned by the president now totals 673.